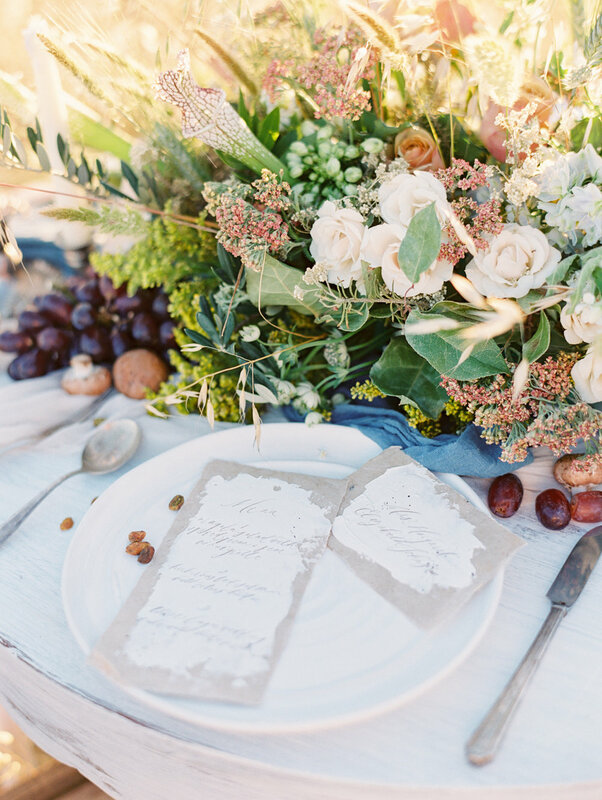 Perfectly romantic wedding inspiration in the golden California mountains. A gold adorned gown, perfectly tailored navy suit, hand died ribbon, an unbeatable summer light and beautiful ethereal details make this beautiful wedding Inspiration shine. You can see more of this gilded romance published on Magnolia Rouge!